This statement watch from Olivia Burton features a chic and easy to wear oversized rose gold dial. 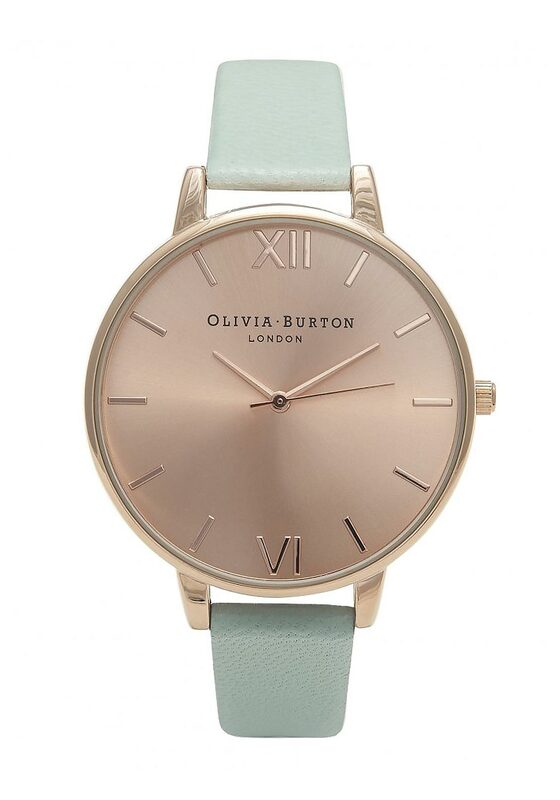 This vintage inspired watch comes with a mint coloured soft genuine leather strap, which is branded with Olivia Burton’s logo. This watch is guaranteed for one year and is presented in Olivia Burton packaging.